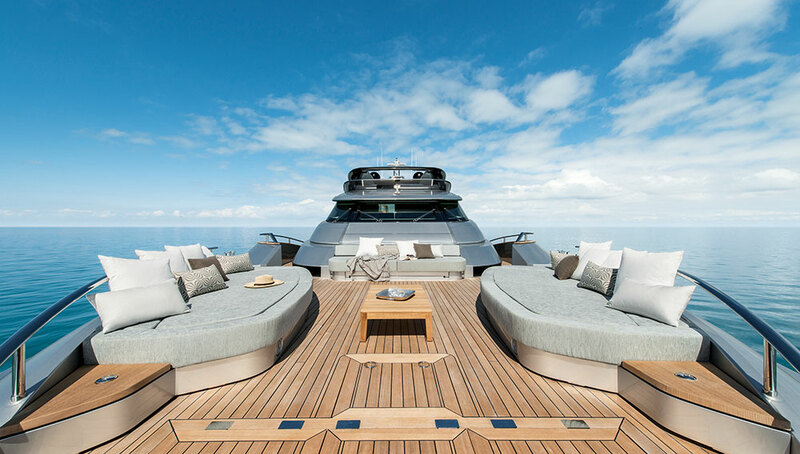 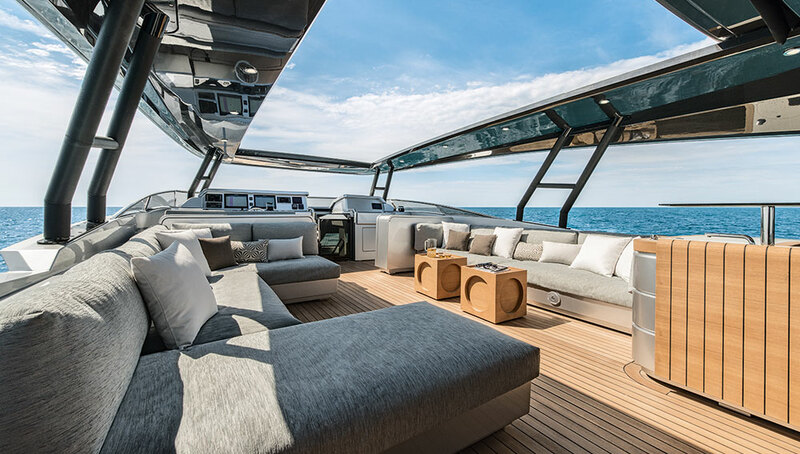 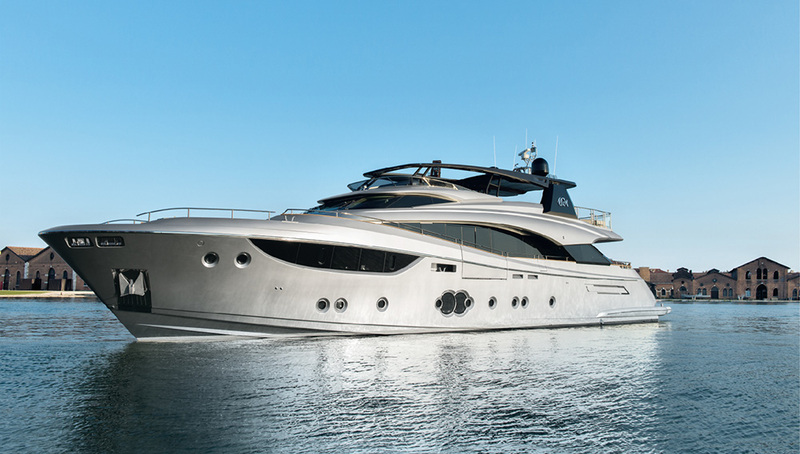 The highly anticipated Monte Carlo 105 G met boat lover’s expectations when the superyacht was unveiled at this year’s Cannes Yachting Festival. 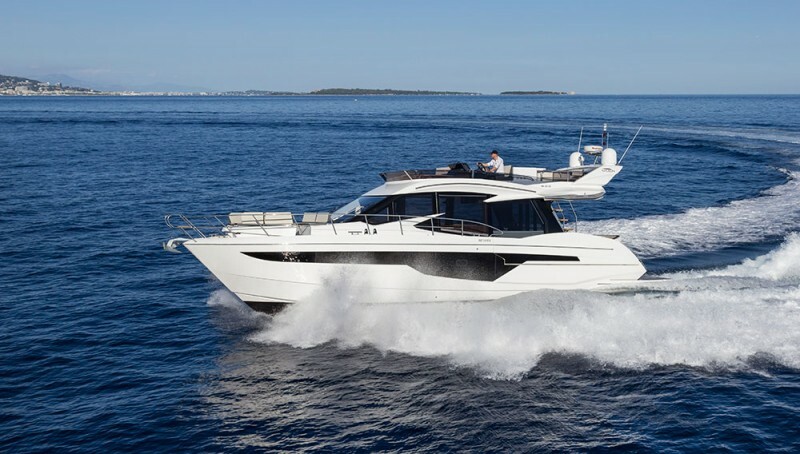 Heralded as Monte Carlo’s new flagship boat, the 105 G boasts one of the most elegant, spacious interiors available in the 100-foot range. 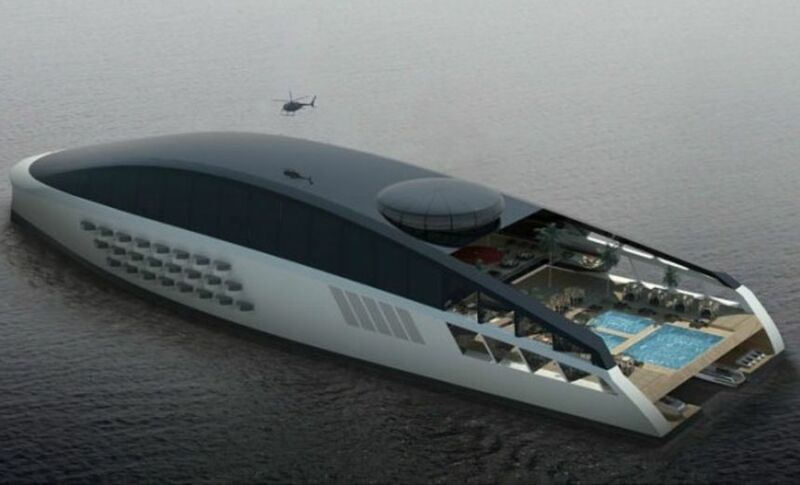 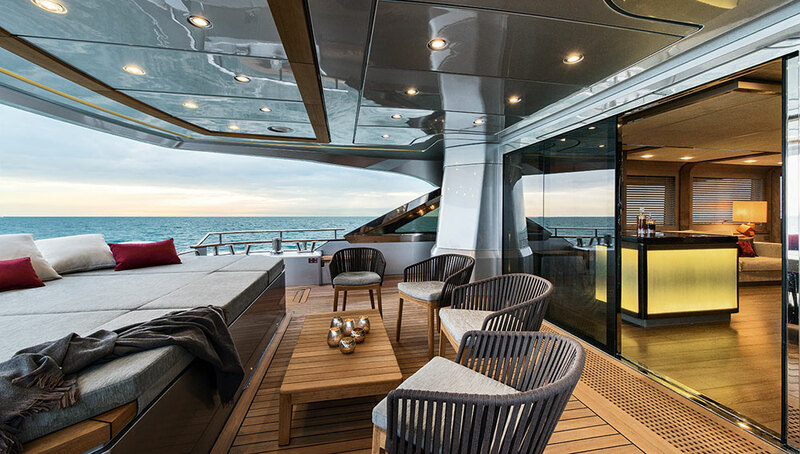 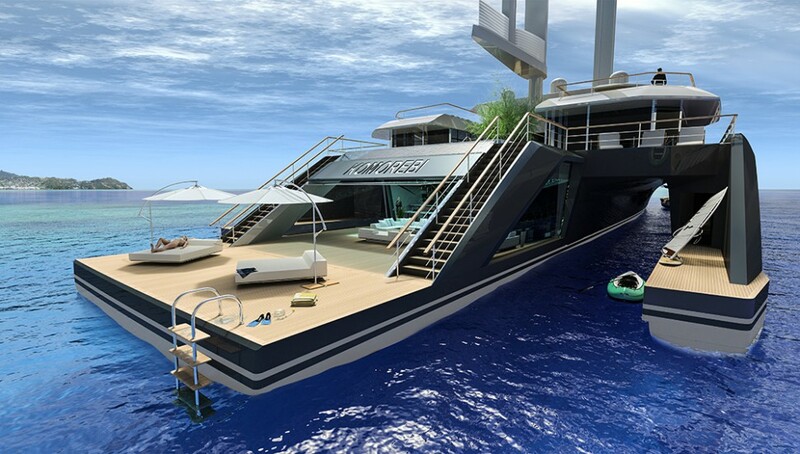 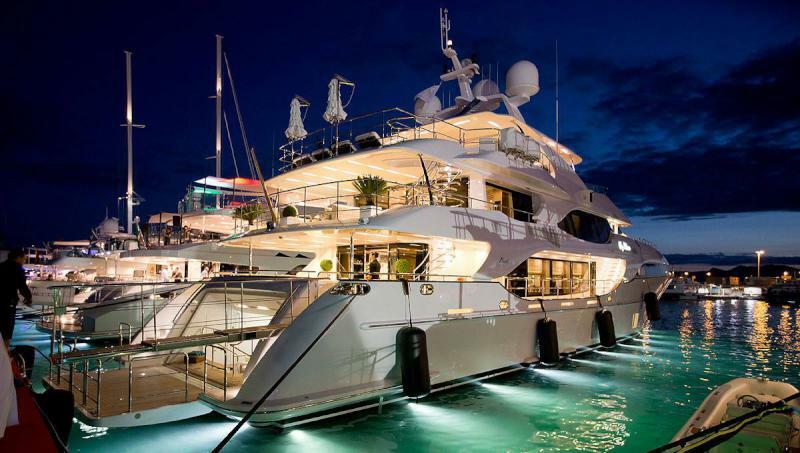 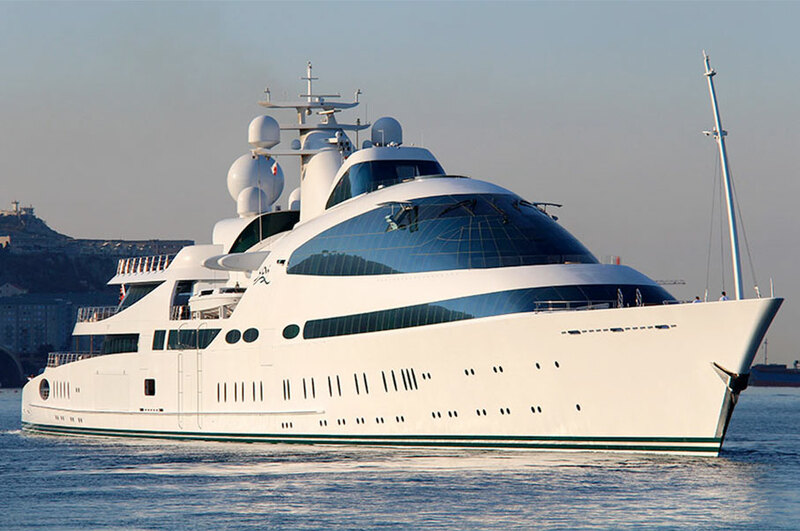 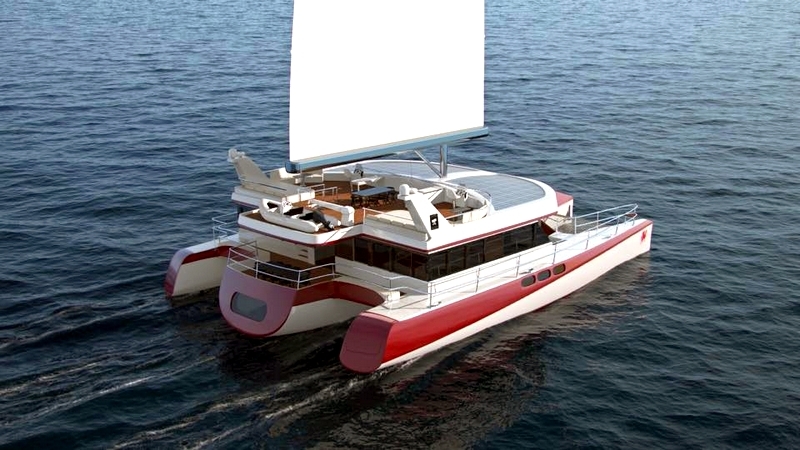 Designed in close consultation with its Chinese owner, the yacht is contemporary. 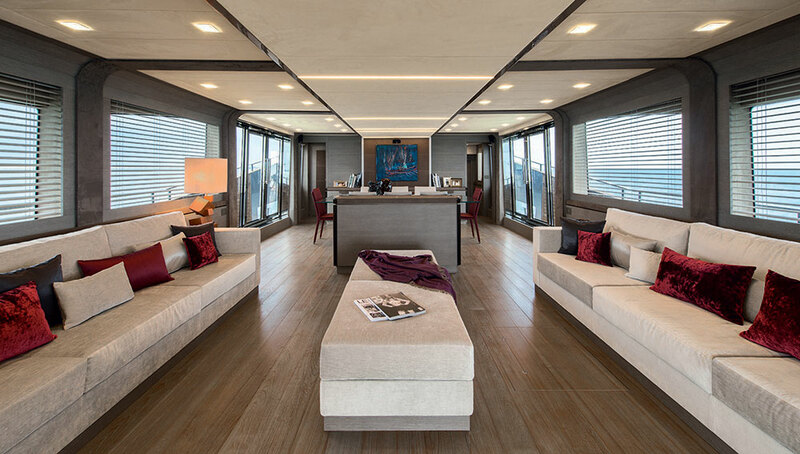 The saloon features distressed-teak flooring with distressed-gray-oak walls, complimented by natural woods that haven’t been treated, keeping that natural aesthetic throughout the interior. 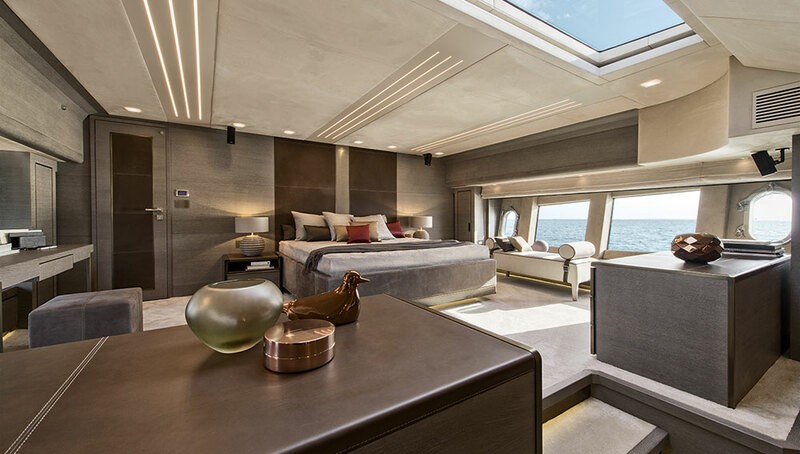 The overall yacht feels spacious, highlighted by the backlit alabaster stairs leading to the 484-square-foot master suite, easily the largest in its class. 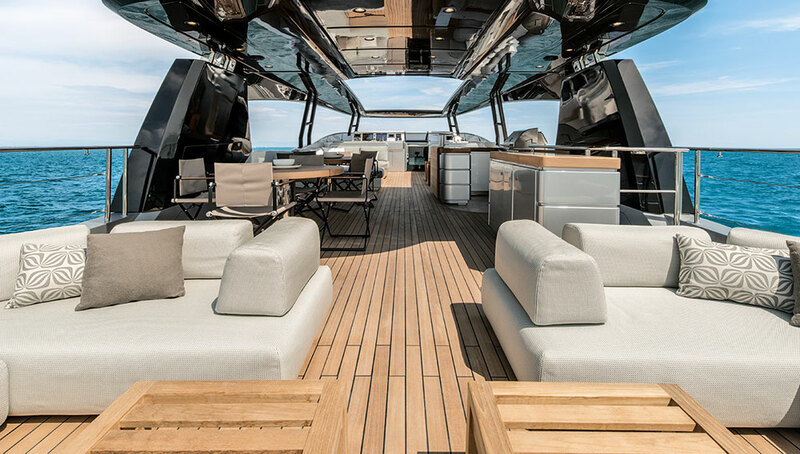 The interior is so massive thanks to its construction processes – taken from the automotive and aviation industries – that allowed the Italian yard to build to precise tolerances reportedly never before seen in the yacht industry. 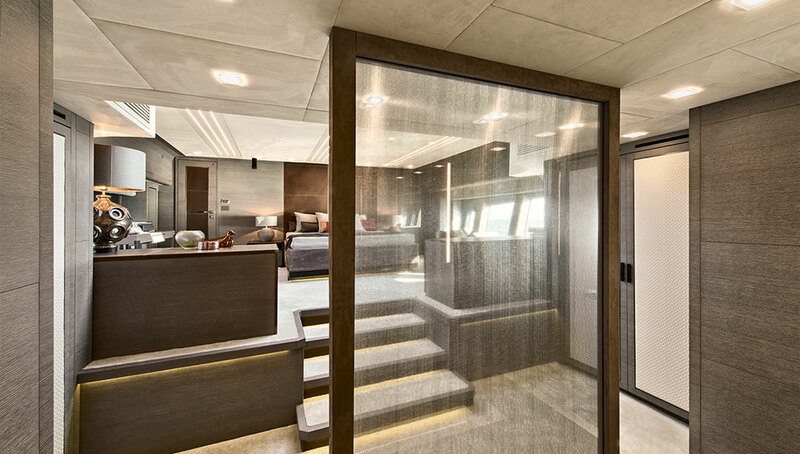 This translates into tons of extra square footage throughout the entire yacht. 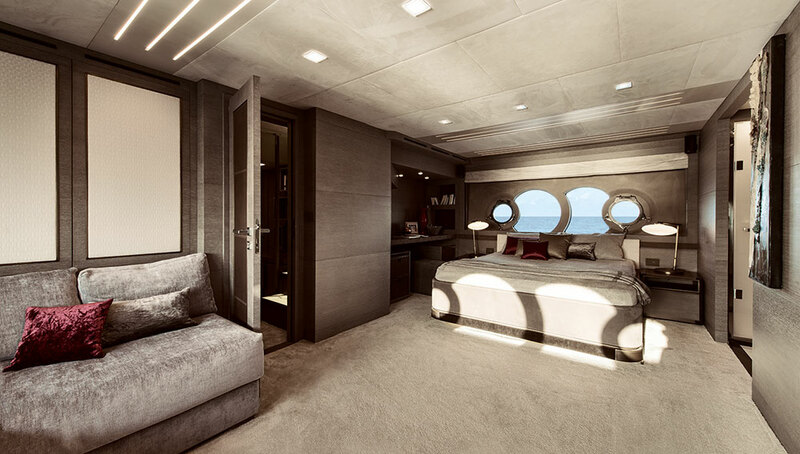 If the split-level master suite or VIP cabins the size of small apartments isn’t impressive enough, the build time for such a beast is unheard of. 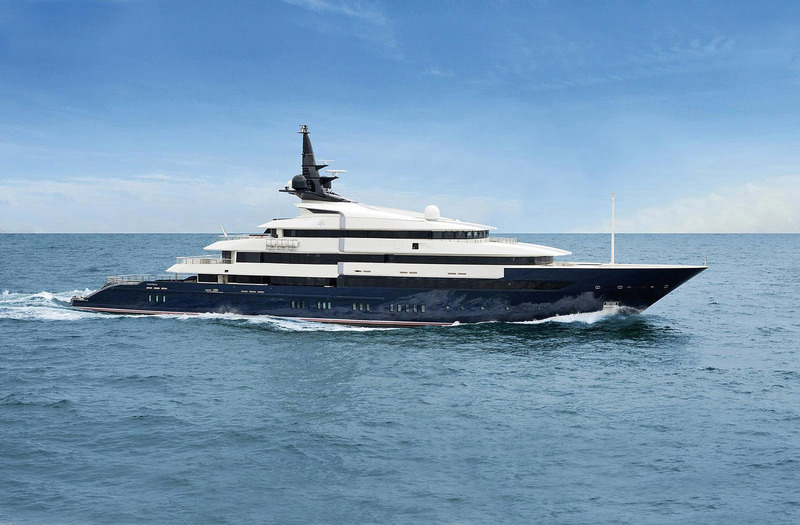 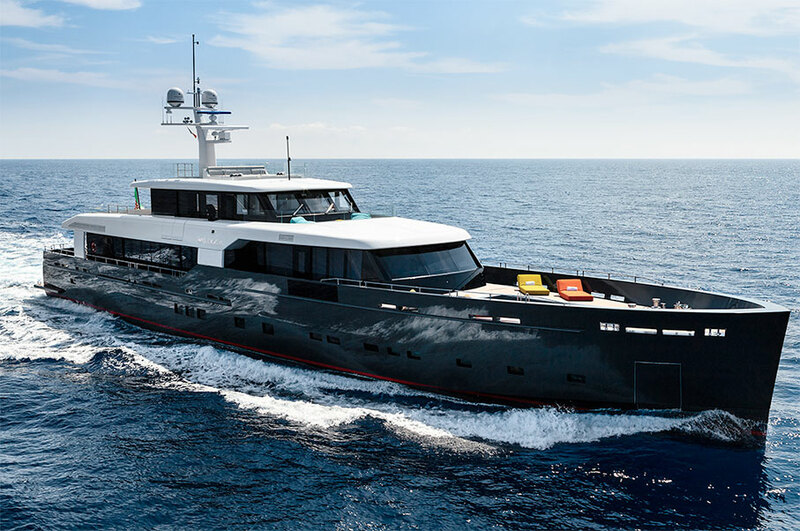 Its short, 6-month build time, made possible by its advanced construction methods, allows the company to produce precisely built, highly customized superyachts in about half the time it would take other shipyards to turn out something this size.